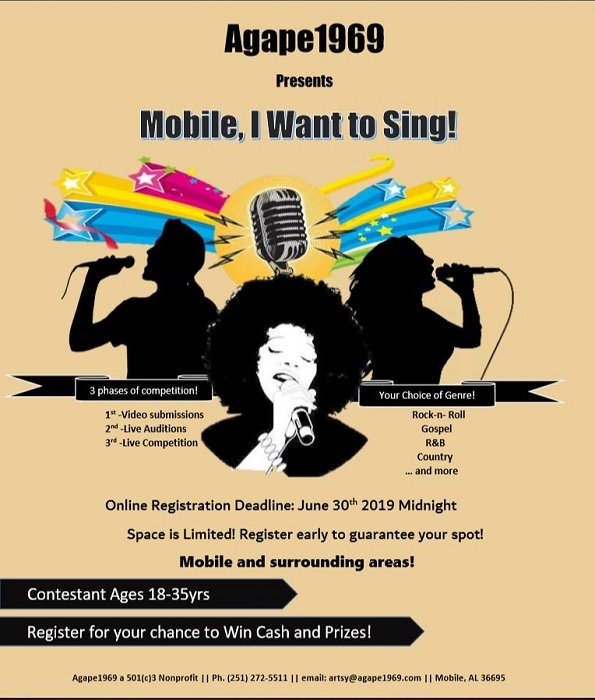 Get ready Mobile and surrounding areas for an amazing opportunity to showcase your vocal talent! We are accepting video submissions April 1st- June 30th! This gives you time to enter, but don’t wait till the last minute! This is the first phase of the competition! Choose your genre and enter! Video Submission: First you must register and pay a small fee, and submit your video audition for initial processing. In Person Auditions: Those who advance to this stage will be performing in front of 3 judges to see the level of stage presence, technique, and live vocal quality.